Isha Ambani-Anand Piramal's reception hosted in Mumbai. 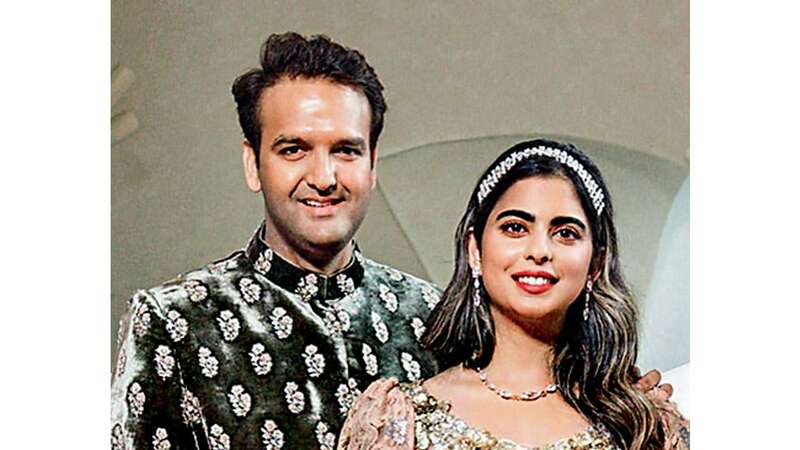 MUMBAI: Newlyweds Isha Ambani and Anand Piramal's new home, Gulita, was lit up as the Piramal family held the couple's first reception at the five-storey Worli sea facing bungalow in Mumbai on Thursday. Those in attendance included Union Minister Nitin Gadkari, Senior BJP leader Rajiv Pratap Rudy, Cricket legends Sunil Gavaskar and Kapil Dev, Ratan Tata, Cyrus Poonawalla and family among many others. The couple will move into iconic sea-facing bungalow in Worli, which was bought by the Piramals in 2012 for Rs. 452 crore. The bungalow, spread over 50,000 square feet, has a three-level basement and five upper floors.